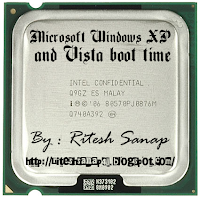 If you're running Windows XP or Vista with a computer that has a multiple core processor such as the Intel Core 2 duo you can increase how fast your computer boots up by having it use multiple processors for its boot sequence. Following the below steps to have Windows do this for you. 1. Click Start and Run (for XP) and type: msconfig and press enter. 2. Click the BOOT.INI or BOOT tab. 3. XP users highlight the line beginning with "multi" if not already selected and click the Advanced Options button. 4. In the Advanced Options Window for /NUMPROC= or Number of Processors change it to 2.